CJD took the life of Merrill John Schweitzer Jr. in September 2004. His daughter Casey -- our bracelet sponsor -- says her father had a kind and gentle way of dealing with people with honesty and sincerity. "My hope is to honor his life and make a difference in the lives of those who are affected by this terrible disease," she says. 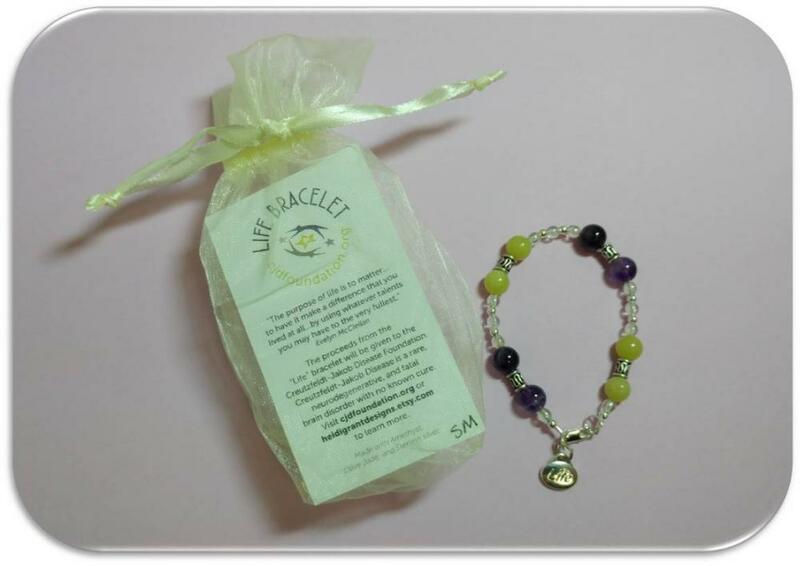 Created by SWG Creations Inc., the bracelets feature jade and amethyst stones, a sterling silver clasp, links and a Life charm.